When you’re renting a party bus, you only want the best. To get not only the best bus, but the best experience, there are a few things you should know prior to actually hiring one. These tips help you pick the perfect party bus for your needs while still getting a fair price. One tip that’s not listed is to always plan far enough in advance so that you have time to do everything on this list. Plus, you’ll have an easier time getting the bus you want. Make sure you have the most memorable party ever by knowing the best advice for renting a party bus. It should be obvious that a party bus only fits a set number of passengers, but sometimes extra people suddenly want to come at the last minute. Before you decide on a bus, get a concrete number for the maximum passengers that may be riding. 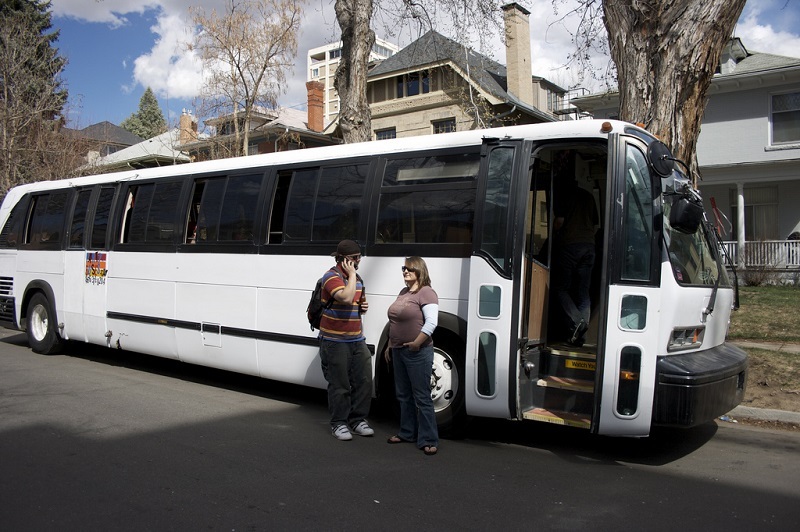 For best results, rent a party bus that fits at least a few more than your maximum number. This leaves plenty of room for everyone. Remember that you may void your contract if you try to place more people on the bus than allowed. Never under any circumstances hire a party bus without seeing it in person first. The only real exception is if you’ve rented the exact bus before and trust the company. Pictures online often look great, but you may not be renting a party bus that’s the same as the pictures. Reputable companies have no problem letting you check out your bus prior to renting it. Always ask for an easy to understand contract with every fee listed clearly. The last thing you want is to discover hidden fees that you have to pay after you’ve already committed. Renting a party bus doesn’t have to be complicated. By having a clear quote in advance, you’ll know what to expect and won’t have any nasty surprises that ruin your fun. Part of the reason to get a set cost in advance is so you have time to divide the costs among each passenger that’s paying. You don’t have to worry about this part if you’re paying for it all yourself. Most limo companies require an upfront deposit, so be prepared. If you are splitting costs, getting the money before the final payment is due ensures that you’re not shorted at the last minute by your friends. If you’re 21 or over, this won’t apply to you, but if you’re renting a party bus for anyone under 21 and plan to serve alcohol to those passengers that are 21 and over, you’ll need a chaperone provided by you or the limo company that’s age 25 or older. The chaperone is responsible for ensuring minors don’t consume alcohol. A signed document concerning the age and agreeing to be a chaperone must be provided several days in advance of any event. This is California’s law, but if you’re renting a party bus in other states, check their alcohol laws as well. The law previously required the driver to return to the point of origin immediately and terminate the contract if underage drinking did occur. Renting a party bus isn’t exactly cheap, but when you split costs, it’s an affordable way to safely party on the go, take an entire group to prom or take a large group to various clubs throughout the evening. Don’t be tempted by the cheapest bus you can find. Cheap usually means a run down old school bus that kind of smells like a party the day after. This is if the bus even shows up. Quality party buses do cost more, but you get nice floors, roomy interiors, incredible sound systems, custom lighting and much more. If you choose the right company, you also get plenty of free amenities without hidden fees. The next time you want a memorable party, renting a party bus is the perfect solution. It’s ideal for picking up everyone and getting them safely back home. No one has to miss out on the fun because they have to drive. Go through the above checklist and you’ll be more than prepared to rent a party bus when the time comes. Have a big event coming up and need a party bus? Contact us today to discuss your needs.